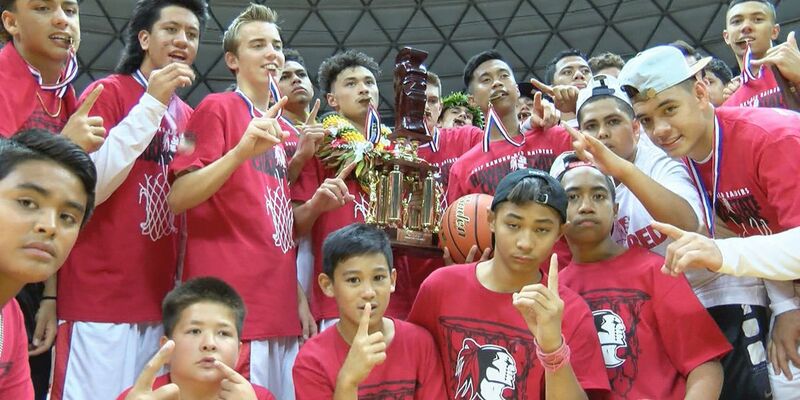 HONOLULU (HawaiiNewsNow) - For the Kahuku boys basketball program, the fourth time was the charm. Winless in three previous trips to the HHSAA Division I boys basketball state championship game, the top-ranked Red Raiders pulled away from Punahou to end the drought with a 70-55 win. Jessiya Villa led the Red Raiders with a game-high 23 points, while soon-to-be Rainbow Warrior Samuta Avea recorded a double-double with 20 points and 11 rebounds. "I love my team. I'm speechless right now," said Avea. "This is crazy how good our team played and how good we mesh together, and it's all thanks to coach Brandyn." 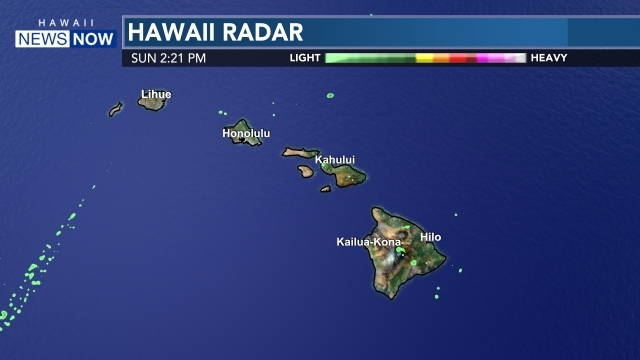 Kahuku led by six at halftime and stretched its lead to nine in the third quarter before Cole Mausolf (14 pts) and Maninoa Tufono (6 pts) connected from long range to pull the Buffanblu within four after three quarters. The Red Raiders locked down on defense in the fourth quarter and outscored Punahou 20-9 in the final eight minutes to bring the Koa Trophy to the North Shore. "They worked hard all year and the fans been great, the support has been great all year long," said Red Raiders head coach Brandyn Akana. "This is for our North Shore and Kahuku, Laie, Hau'ula community, so we're very excited for that." Earlier in the evening, Saint Francis captured its second division II state championship with a 52-46 win over Kalani.